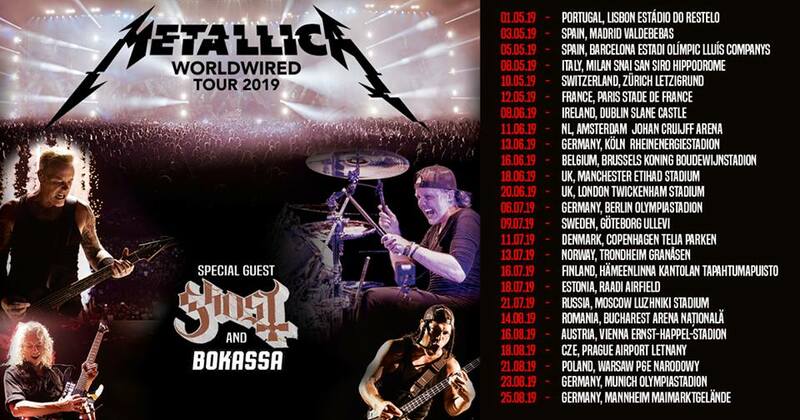 METALLICA’s “WorldWired Tour” has confirmed an Irish date at Slane Castle on Saturday 8th June as part of an extensive European Tour. This will be Metallica’s first Irish show in a decade. Fan Club Presales begin tomorrow, Tuesday, September 25. Click here for details—and for a complete list of other presales, click here.